quickerbybike.com: New quickerbybike.com kit order. I'm ordering more quickerbybike.com kit. But I'm doing it to order because otherwise it just won't happen. So if you're keen , please email me with what you want and pay me. Stuff will follow a few weeks later. Kit is all from Endura. 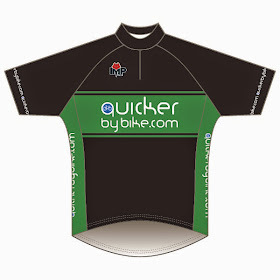 Lycra is their team kit, baggies are Singletrack, embroidered with the quickerbybike.com logo. 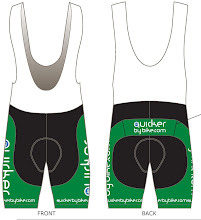 Lycra prices above are just the Endura Team Kit prices - I'll pay the postage. Prices for baggies are: trade price + embroidery, plus postage. Scroll down the blog for pictures of the kit. Visit http://www.endura.co.uk/ for any technical or sizing information on the kit. So if you're after some kit, please email me and let me know what you want. I'll give you the bank details and you can pay me when you order, then you'll just have to bloody wait!